The best content ideas tend to come up when shows and I are just bullshitting on our weekly calls. 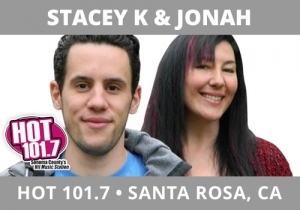 A few weeks back, Stacey K and Jonah, HOT 101.7, Santa Rosa, CA were gabbing about how long the drive thru takes when getting coffee in the morning. So, we decided to test things by going to one and timing waiting in your car to order and pick up your coffee verses going in. This is relatable content being done in a very memorable way. It also has an element to it where listeners are glued to the radio to see how it ends, as they’ve considered it before, too.